Hard to find 3000 sq ft 1 Story in Anthem on huge 1/4 acre cul-de-sac lot! 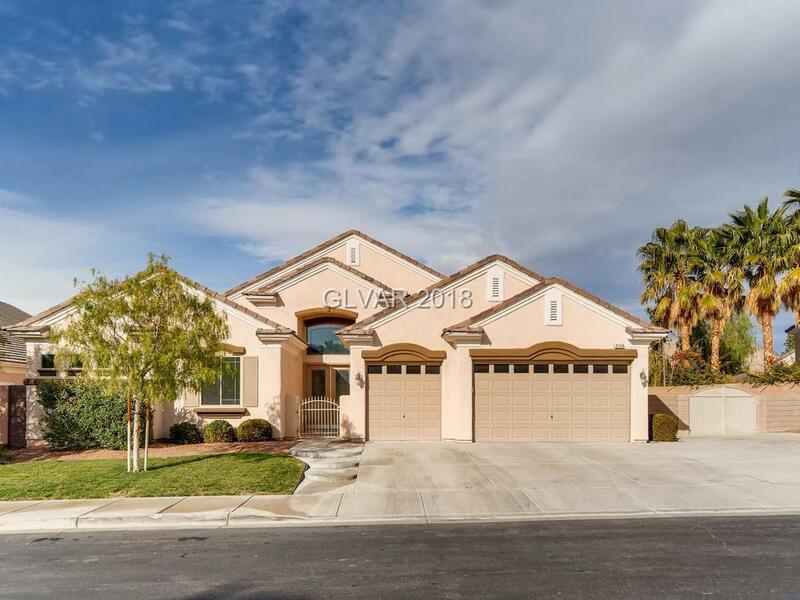 Vaulted Ceilings, Central Vac, Spacious kitchen w/island, stainless appliances, & custom cabinets. Dual masters both w/ walk in shower & separate tub. Main master is very spacious w/closet the size of a bedroom! 3 car garage, large lot w/ RV gate, & expansive patio cover! Great home in an area w/ highly rated schools & lots of serene community parks! Directions: From Eastern And St. Rose, S On Easter, Veer Left On Anthem Pkwy After Siena Heights, L On Reunion, L On Paganini, R On Romanesca, L On Kantele.